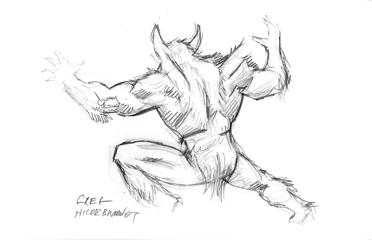 This sketch is an original concept piece for a Tolkien REMARQUE Greg did in 2007. These are wonderful pieces of art and would be a great addition to any art collection. Or would make wonderful gifts for any Hildebrandt art fan. Created by Greg Hildebrandt in 2007.